This book goes further than any indoor growers guide has gone before, presented in full colour with 3 dimensional CAD renderings. 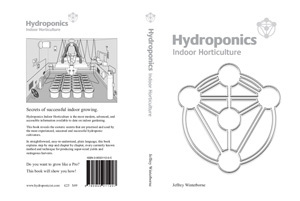 Hydroponics - Indoor Horticulture quite simply outclasses any other book on the subject... In terms of literal content, quantity, quality and presentation, no other indoor horticulture growers guide can compete, let alone compare. More information can be found at the Hydroponics Indoor Horticulture website.